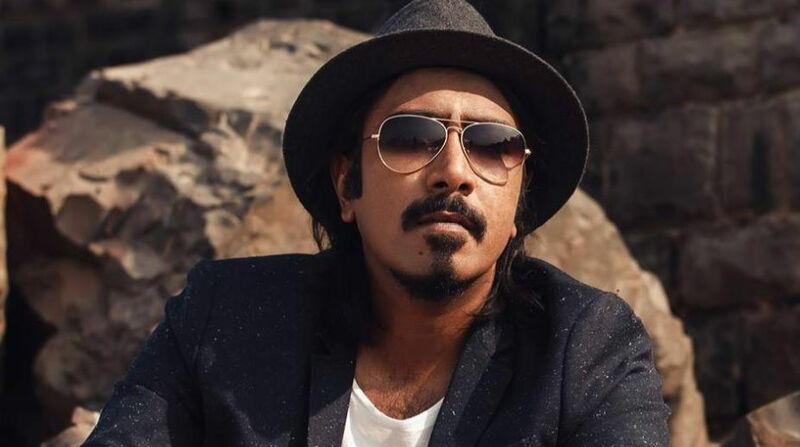 Sony Music Pop revealed the much awaited single by Bollywood’s hit composer -singer Arko Pravo Mukherjee called Aainda. From the lyrics to the video, everything is dreamy and magical that will song stay with listeners for a long time. Mukherjee is making Bengalis proud by gifting soulful songs since 2012, like Abhi abhiand Maulafrom Jism 2, Allah Waariyan from Yaariyan, Aaj Phir Tumpe from Hate Story 2, Meherbani from the Shaukeens to name a few. Q How did aainda happen? I always keep the musical verses ready and according to the demands of a movie I use them by giving the modifications needed. It similarly happened for aaindawhen Sony approached me to do a single. The music has been produced by Brandon Friesen and Aditya Deb.The vocals and guitars were done in Los Angeles and the rest were done in Bombay. Generally I am skeptical about these things as the last 12 years Bollywood has been very easy to promote as they keep playing on radios and televisions. But it is not the same with non-film music. After Kapoor & Sons, this is my first non-film project with Sony. It was nice working for them as their interests are solid and they are really choosy, doing more quality work. Q How was the struggle in making yourself heard in Bollywood? When I went to Bombay in 2008 to make a career in music, I wanted to make albums and not film music. Everything became easily accessible through Internet as people could download everything. So that was a struggle for me for three years. And I look back to those years as a degree that I earned– the degree of proving myself and how much I can handle. These things are much bigger than just learning a subject. Q How did the Bollywood connection happen? Before Jism 2, I worked for two films which closed down. Then Prashant Narayanan, who is my friend and an actor of critical acclaim, suggested Mahesh Bhatt to hear out my songs. That’s how I got a meeting with Bhatt saab which ended up becoming quite filmy and funny. Naturally as a busy person, he gave me 10 minutes to sing two of my songs. I sang abhi abhiand maulain my guitar which he made me sing for the next 15 minutes repeatedly. Then he called Mukesh Bhatt saying that here’s a crazy guy who wants to sing. Q You were a doctor by profession. What prompted you to leave such a secured life and opt for music? I loved singing as a little boy but never thought that one can make a career out of it unless one has grown up seeing their elders established as a singer or a director. Coming from an academic family it is considered risky and nothing more than a hobby. But I guess I was the black sheep of the family and wanted to take up music as profession. I couldn’t consider being a doctor and musician at once because both are too much consuming. I believe that anything one does need a lot of effort. A song stays forever in a listener’s heart because a lot goes into making it. So I could never balance both at a time. Life is one and I wanted to do what I love. It is the toughest convincing yourself. Once that is done nothing seems obstacles. Q As a Bengali,what made you want to write Hindi songs? Somehow, I am more fluent writing in Hindi than in Bengali. But I had to learn the language a lot. I picked up a lot of books. I learn quickly but for that I would rather credit my luck than myself. I have read Mir Taqi Mir, Naqsh Lyallpuri, Majrooh Sultanpuri, Anand Bakshi and every lyricist of Bollywood in a year. Then I also tried to learn Urdu that has the most beautiful phonetics. I believe that both the phonetics and the meaning are important in a song. But that is not always followed as we often take creative liberty for better rhyming, for instance using judaiya for judaior paniofor pani. There’s still a lot to learn. I never knew the meaning of Mayassar. Phir le aya dil became a hit and then people started looking for the term. Thus popular art is as educating as books. Aaindais such a nice phonetic word but it has never been used in songs much. Because I am learning the language much later, I am even more curious to know about the words. Q How competitive do you find the Bollywood music industry? Does it pressurise you? This industry is always competitive, now even more with the arrival of YouTube and social media. Those who have never sung are becoming stars because of their high popularity in such platforms. It all lies in the personality. If someone thinks of it as pressure it will definitely. Finding my contemporaries doing 20 songs a year and feeling pressurised, I sign next five movies desperately, doesn’t work for me. Rivalry is best when people improve each other. The present generation of composers is all really good friends. We share and discuss our compositions to make it better rather than exploiting. I cannot make too many songs at the same time and also I am not always compatible with too many people. I don’t get the number games that go on in the business. My only goal is to make songs that listeners will remember, even if it’s just one. I am a typical Bengali lazy guy.